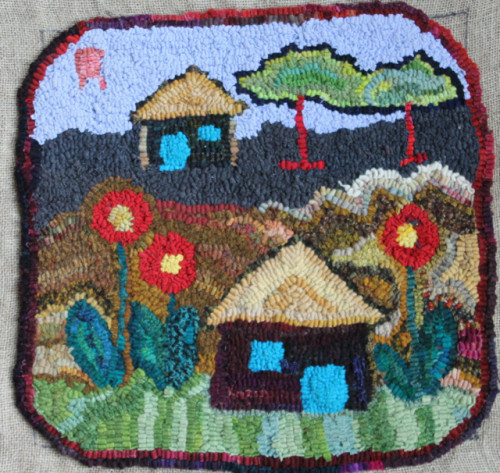 When I was in Nairobi I was in a fabric store on Biashara Street buying burlap for the rug hookers. As I was leaving I noticed bolts of heavy waxed canvas by the door. I couldn’t resist buying some because I loved the weight and the colours–moss, cognac and black. 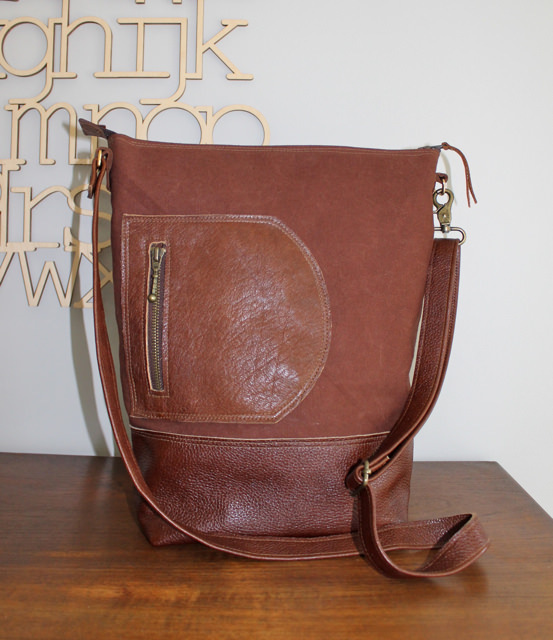 This is the first bag in cognac, a versatile bag with shoulder strap and lots of pockets. 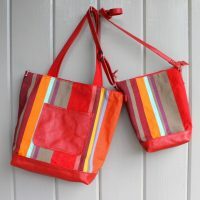 A great bag for every day, it will also withstand the rigours of travel. 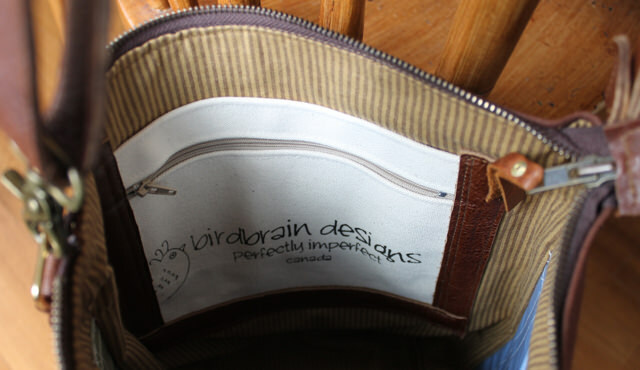 It has two deep pockets on the front and a zipper pocket for phone or keys on the back. Inside it is lined in striped cotton with a domed coated canvas pocket for ipad and a zip/slip pocket for valuables. 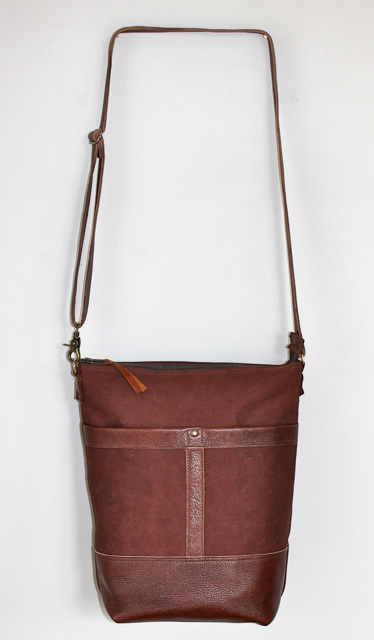 The bag is trimmed in durable leather, has antique brass zippers, rivets and clips and an adjustable leather cross body strap. 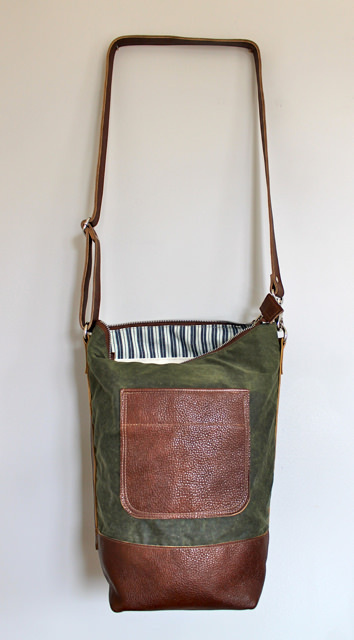 Look for this bag in the online store early this week. 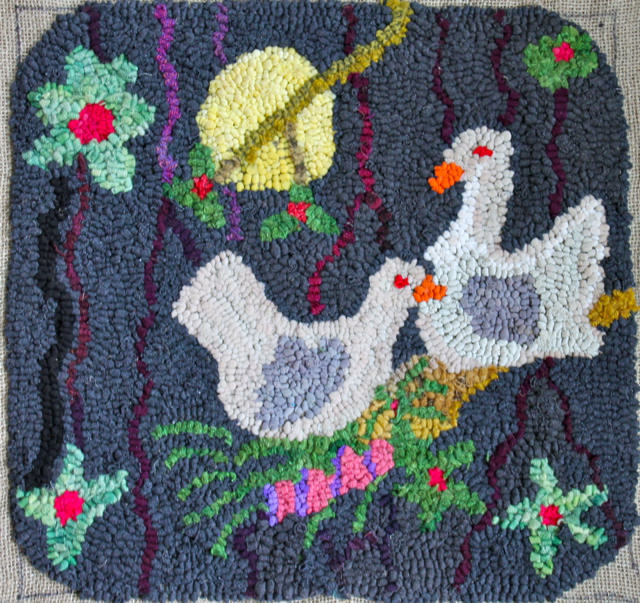 Not doing much outside sketching or even inside sewing these days. 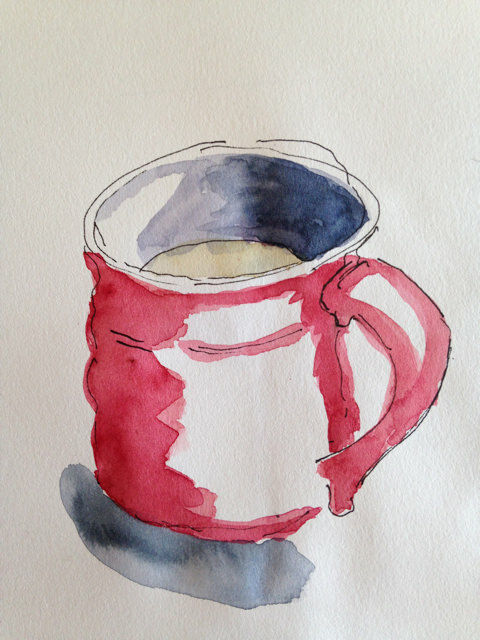 What I am doing is drinking lots of lemon, ginger and clove tea, made from scratch. And sketching it. Hope to feel better soon as spring is finally here and it’s time to get the bicycle out and get into the garden. Here is the first bag of 2015. 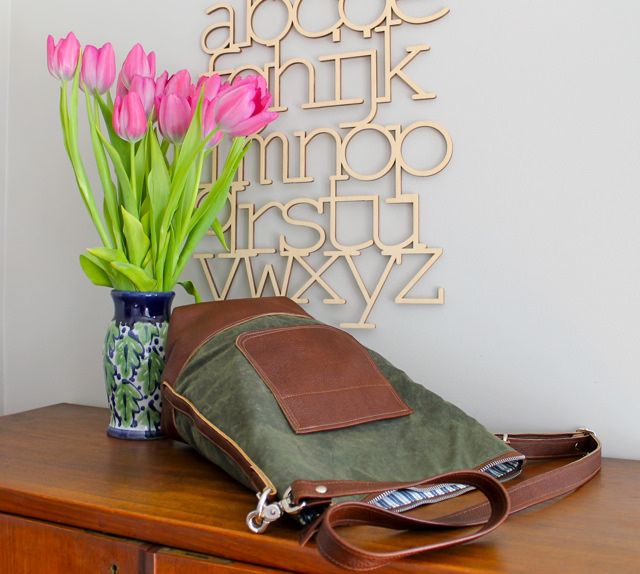 It is a great everyday bag for work, travel and leisure and is part of a series of waxed canvas and leather that I have made over the last couple of years. 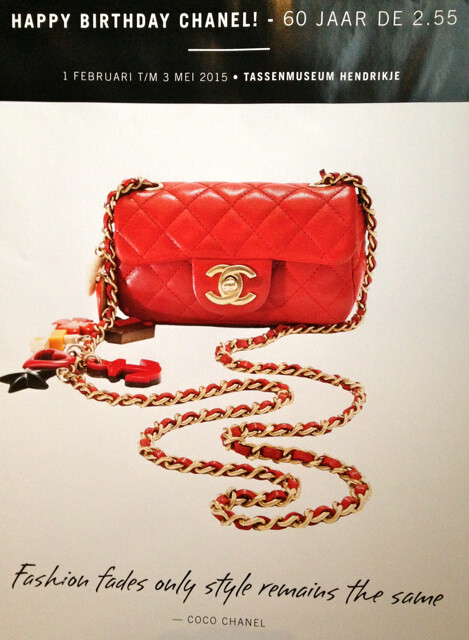 These bags are durable and age beautifully. 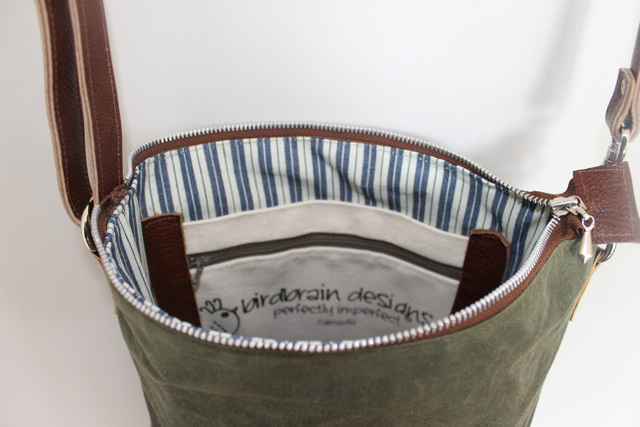 The waxed canvas is waterproof and wipes clean with a damp cloth. 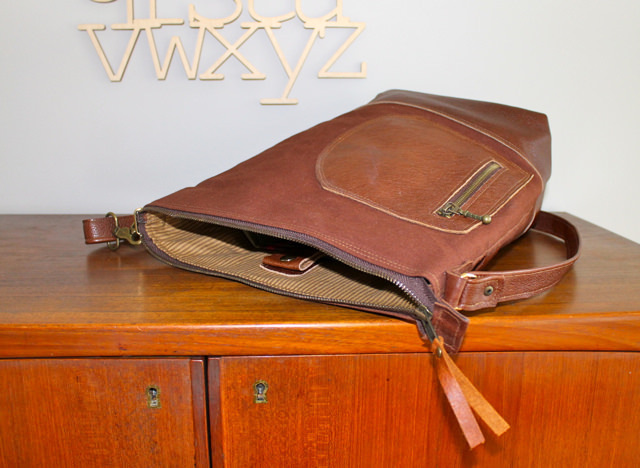 This one is 12.5″ wide, 14″ tall and 6″ deep with an adjustable leather strap and a wide leather base. It is lined in crisp blue and white striped denim. 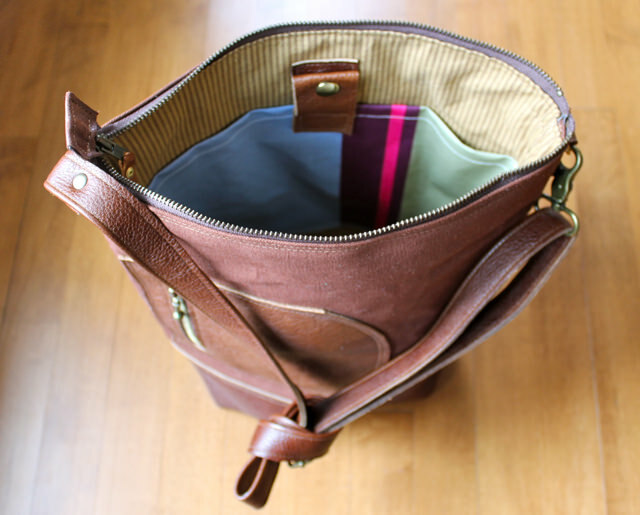 There is a large exterior pocket and inside zip and slip pockets as well as a leather phone pocket. 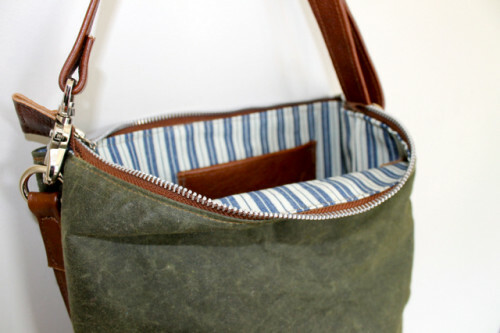 When I was in Nairobi in February I found some heavy duty waxed canvas and I am ready to start some new bags to see how they go. My friend, Ruth, is a physician who has been volunteering at the Matangwe Clinic in rural Kenya for the past eleven years. She and I have travelled there together for the last four. This year she decided to commission the rug hookers to make her six chair seats depicting the local community. 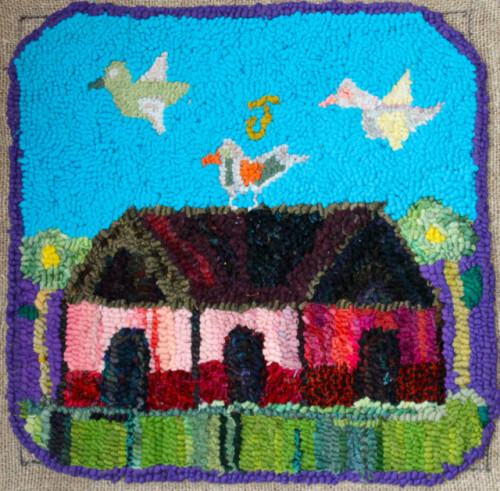 Colourful and charming, the collection is the work of five different rug hookers. 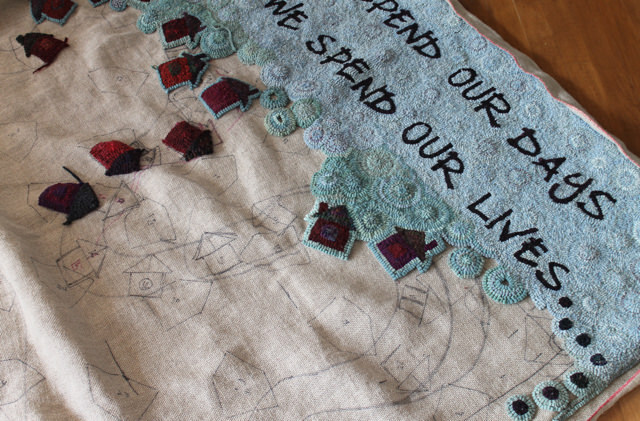 They are made of hand-cut t-shirt strips, wool strips and nylons–in fact anything we could lay our hands on. It is amazing to see the ingenuity and talent of the local women. 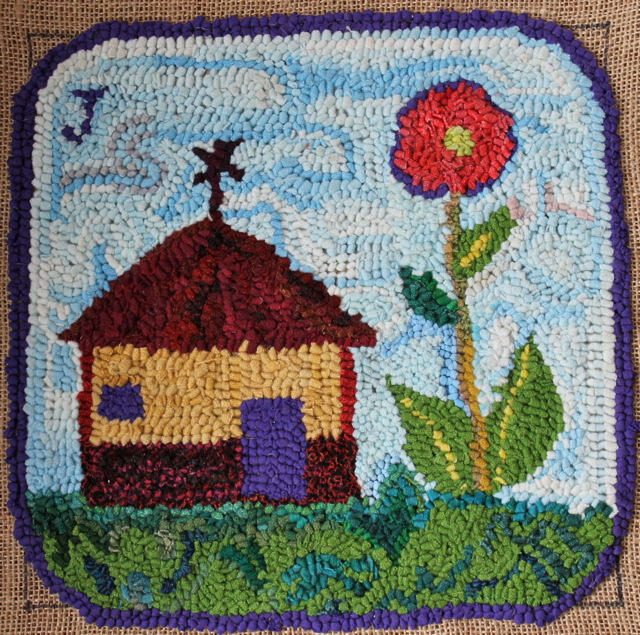 I will back the mats with Kenyan cotton and they will soon bring a touch of Kenya to Ruth’s dining room. 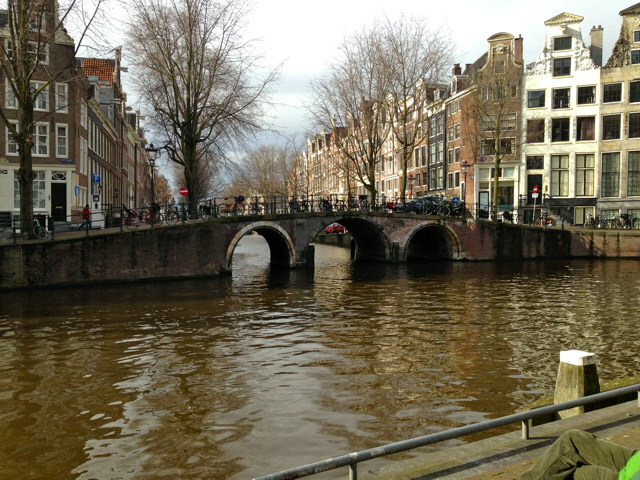 I am catching up on an Amsterdam post I wanted to share. 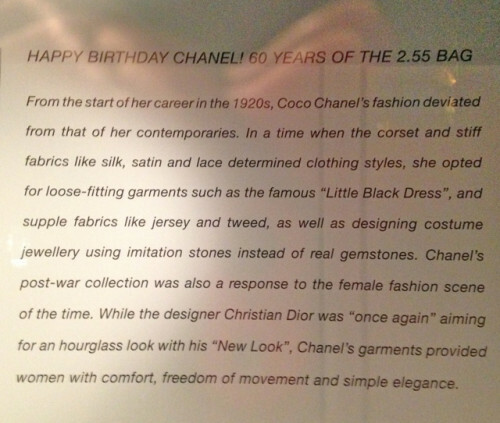 February 2015 was the 60th birthday of the quilted 2.55 Chanel bag, so a visit to the Museum of Bags and Purses was a must. The museum is on the Herengracht, pictured above, the canal of the Ambassade where the Goldfinch’s Theo Decker spends time sorting out his life. The museum is housed in a three storey building with a tearoom overlooking the gardens at the back. 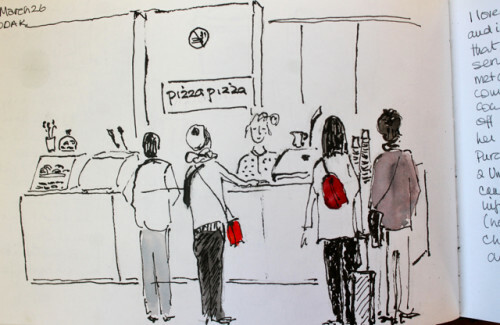 I recommend planning a tour of the collection and lunch. 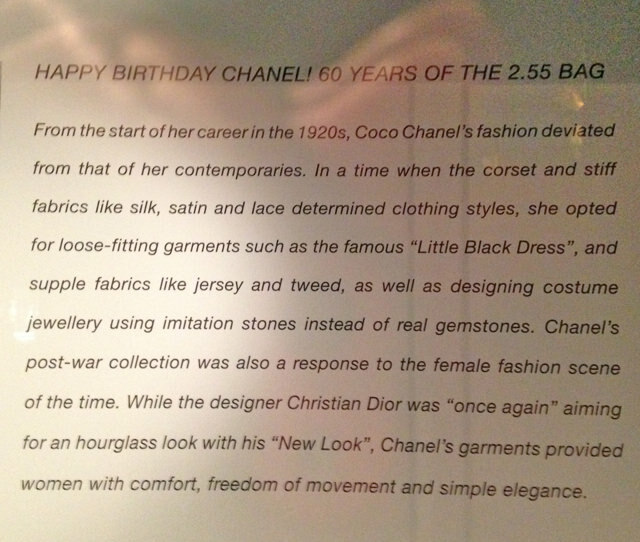 There was a display of 2.55 bags owned by various famous people, but I was intrigued with the summary of her contribution to fashion and her relevance to today’s approach. 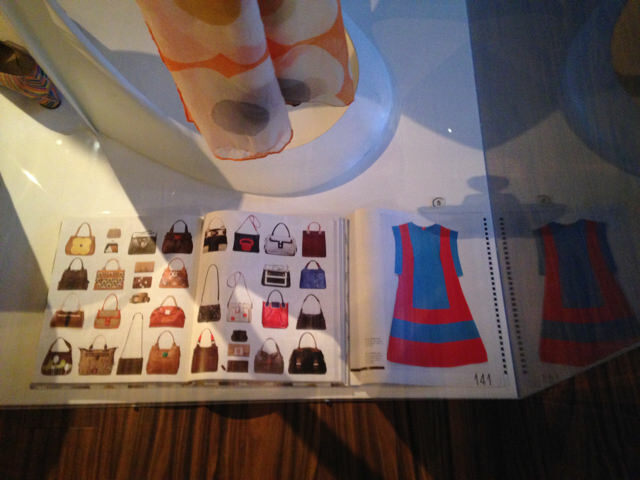 There was a great display of fashion from the 1960’s, including, my favourite, Marimekko. There was also a area devoted to Dutch design which was described as ‘minimalist, experimental, innovative, unconventional and surprisingly ingenious design”. 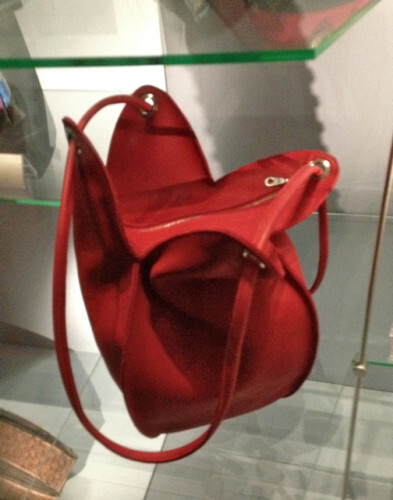 I knew about Hester Van Eeghen from previous visits to Amsterdam, but at the museum I was introduced to Marjon Leek. I fell for her quirky tulip bag, seen below in the show case. I was lucky to find my own version in the museum shop. 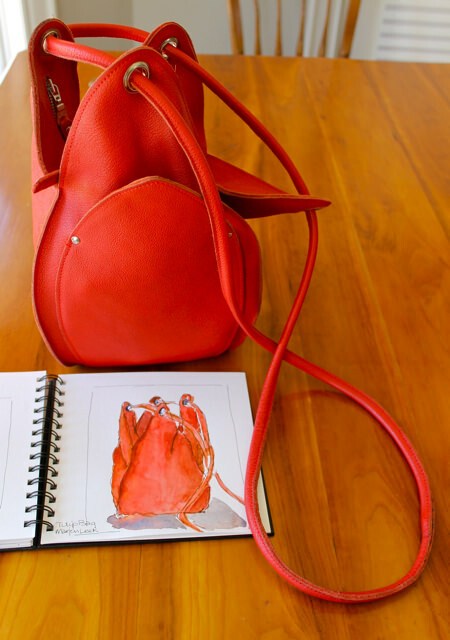 You can see Marjon in action here and my sketch and my own tulip bag back in Canada in the last photo. 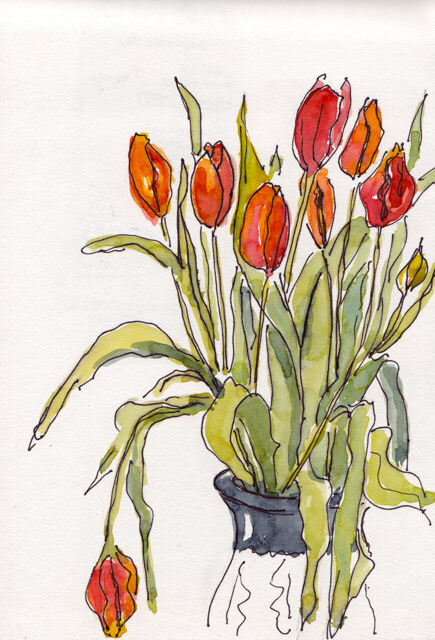 I’ve been sketching these grocery store tulips for the last couple of days. They are on my counter in my new Scott Bartrim vase. 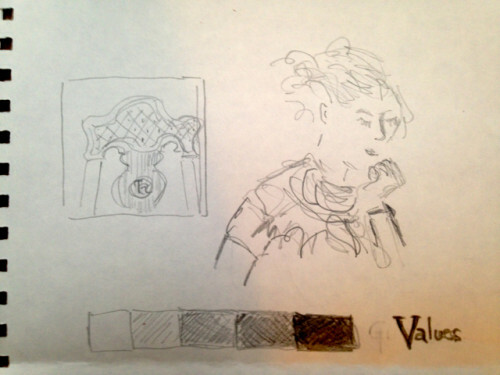 I rewatched the video of Brenda Swenson painting from the second session of Sketchbook Skool. I love the way she adds bright pure colour to her work. She has inspired me. I found that in each session of Sketchbook Skool there was one teacher who really spoke to me. For session two it was Brenda. 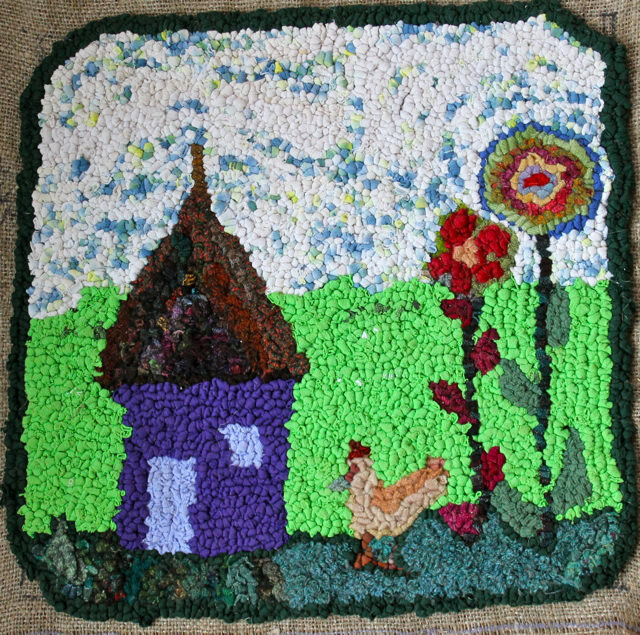 If you would like to know more, here is a short video about the role of art in her life. 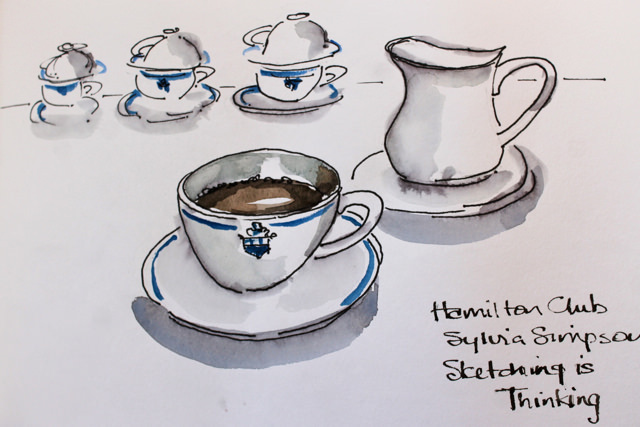 I was in Hamilton last week and attended a talk on sketching at the Hamilton Club. I passed that building thousands of times when I lived there and I always wondered about it. What a treat to finally see inside. On Thursday I went to the One of a Kind show in Toronto. 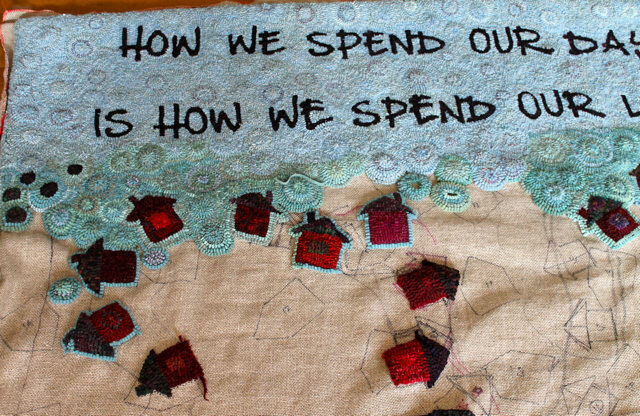 I’ve said here before that I try to buy only second hand or handmade clothes. 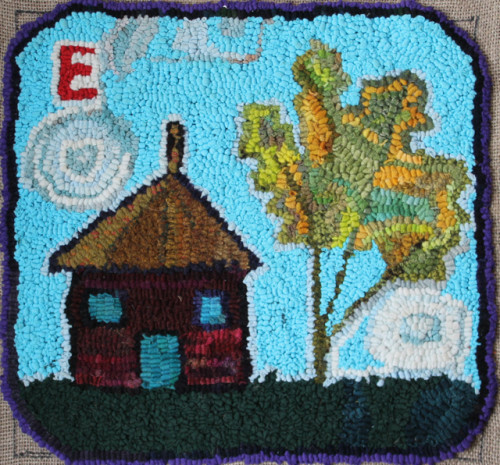 The OOAK is a fabulous place to find the latter. I was smitten by the screen printed infinity scarves by Little Minnow from Austin Texas and the great clothes by Hoi Bo of Toronto. 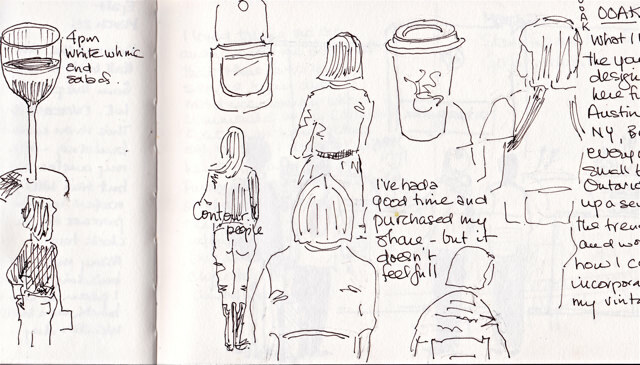 I also sat in the midst of things sketching the people around. The final photo is my page of notes from the sketching workshop in Hamilton, Sketching is Thinking, where we were asked to do a pencil sketch of the person sitting across from us.